Here at MPO Travel, our personal service enables us to build lasting relationships with our clients and we try our best to catch up with them after they’ve returned from their holiday. We really value and appreciate any comments or feedback our clients may have about their villa and the service we provide, equally good or not so good. Every year we receive lovely feedback and stories from our clients and we thought we’d share some of our favourites with you. The first client story is from the Taylor family. 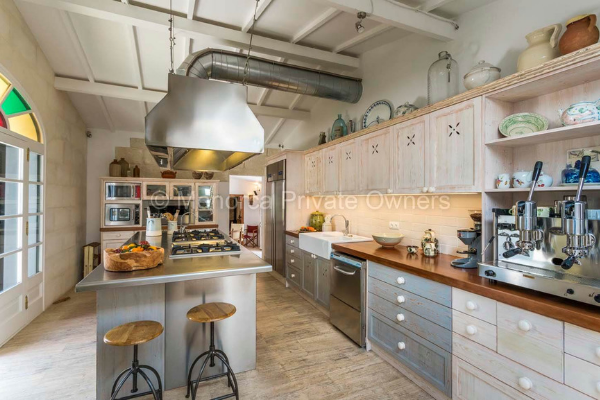 Yuka, a member of our Sales team, booked the Taylors for the first time in June 2017 in villa VN163 Sant Lluis when they were just a party of two. Yuka built a great rapport with the Taylors from the very start and this continued after their first enjoyable holiday in Menorca. Yuka and the Taylors kept in touch as they previously mentioned they wanted to return to the island the year after, but this time with the whole family, taking their children and grandchildren. On their return, Yuka got in touch with the Taylors to hear if their holiday had been as enjoyable as last time. They had chosen VN53, which is perfectly set up for a multi-generational holiday. 1. 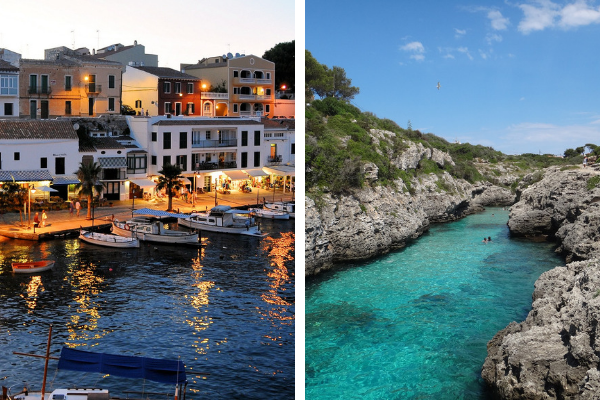 What is your favourite thing about Menorca? "The villa was ideal for our family of 11 with six good sized bedrooms and all with excellent, modern en-suite bathrooms. The kitchen was very spacious with all you need for self-catering – two ovens, two sinks as well as an industrial dishwasher which cleaned in a matter of minutes, and an American-style double-sized fridge freezer with an additional fridge under the centre island, which was essential for our daily supplies of beers, wines and champagnes! 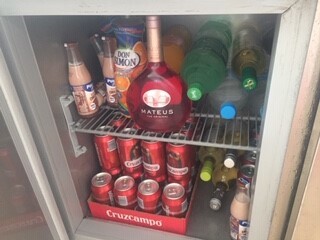 Oh yes, and the outside fridge near the pool area was essential for that cooling beer. Outside fridge perfect for drinks! There were so many outside eating areas where we could have breakfast, lunch and dinner. At night, with the grandchildren asleep, we would sit on the garden terrace and drink and chat until the early hours under starry skies surrounded by a hedge of pretty summer flowers and abundant bougainvillea trees, listening to the soothing sound of the pond and watching glow worms dancing in the dark whilst lizards scurried and a nearby scop owl sang its distinctive song. The pool area was ideal for us with plenty of loungers and parasols, a covered gazebo with seating and shade from the heat of the sun and an exposed, recessed sitting area at one end of the pool in full sun. The pool was warm and many an hour was spent swimming and relaxing on the loungers. The garden was great for our periodic cricket games. A family of tortoises kept us amused as they shuffled to and fro across the garden. We made constant use of the large and effective barbecue and the whole area was safe and secure for our two young granddaughters. 3. Your favourite restaurant on the island? 4. 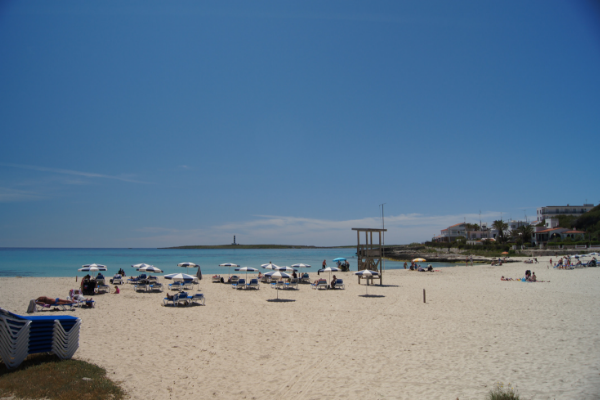 Your favourite beach on the island? 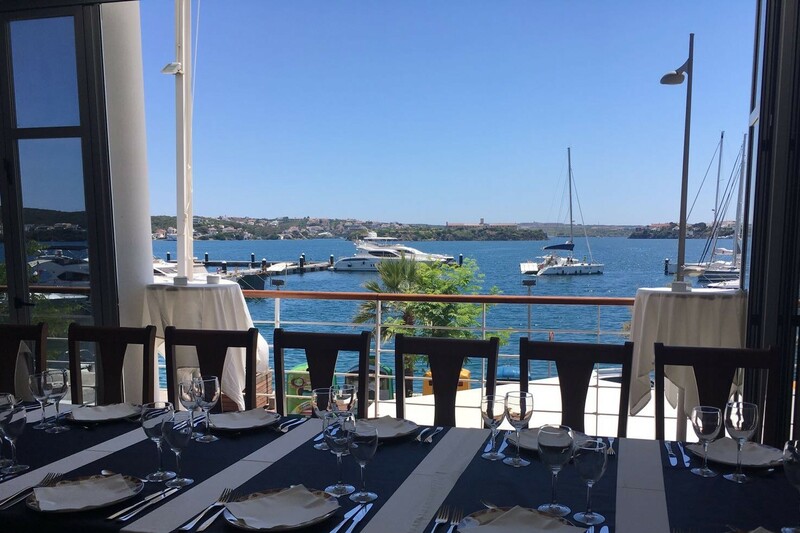 If this client story has inspired you to book your villa holiday to Menorca with us, get in touch here and a friendly member of our team will be more than happy to help.